The complexities of payroll are difficult to deal with, PayrollHR Hawaii allows the crucial and vital payroll to be seamless and manageable. They provide critical human resource services, develop policies which deals with political changes, gives our company access to health insurance, retirement, and workers’ compensation benefits for our employees. PayrollHR Hawaii takes the critical work of managing a company off of a our businesses owner’s shoulders so that he may focus on building and maintaining the business. It can sometimes be difficult for our business to keep up with regulation changes, PayrollHR Hawaii produces employer handbooks which helps us understand prepaid health care compliance laws, payroll taxes, and certified payroll. Anytime I need to make any changes to my payroll such as additions, pay rates, and insurance, Payroll HR Hawaii not only takes care of my requests but goes out of there way to pick up paper work, get necessary signatures and makes sure our workers are completely covered in the many different fields of construction. We thank Payroll HR Hawaii for all that they continue to do for my business. 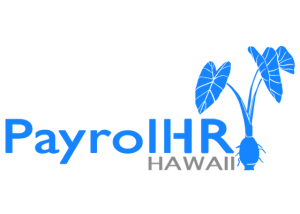 PayrollHR Hawaii has taken care of all our payroll needs for over a year and we couldn’t be more pleased. They provide prompt friendly service and make the entire process very simple and easy to manage. We would recommend them to any small business on Kauai whether you have high turnover or a solid group of employees. Whatever your needs, the staff is always available and responsive to questions or concerns. Antony Construction Corp. gives them 5 stars!